Welcome to the official site of SURE: UCSB atheists, agnostics, secularists, and skeptics. We are a student group at the University of California, Santa Barbara for like-minded students to meet and be comfortably godless with each other. Join us for a meeting if you're interested! The front page has posts on general group news - for more interesting discussions, opinions, and random thoughts, check out the SURE Blog! The meetings this year are taking on Wednesdays at 7 PM in the UCEN Harbor Room (downstairs between the Hub and the post office). Drop by this Wednesday! As always, more information is available on the Facebook Group page. It's the best place to look for current information on the group's activities and other plans. 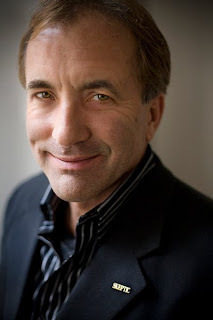 Michael Shermer: The Science of Good & Evil - Free Talk! SURE is glad to be hosting a talk by Michael Shermer! You may have heard of him; he's quite well known in skeptic circles as being the founding editor of Skeptic Magazine (skeptic.com) and the executive director of the Skeptics Society. He is also a monthly columnist for Scientific American, the host of the Skeptics Distinguished Science Lecture Series at Caltech, and Adjunct Professor of Economics at Claremont Graduate University. Dr. Shermer will be coming to UCSB to give a talk called The Science of Good & Evil, Why People Cheat, Gossip, Share, Care, and Follow the Golden Rule, which will examine the evolutionary origins of morality and how to be good without God. We are happy to be able to present the talk completely FREE OF CHARGE! That's right... free. Although we might have some fundraising going on (buy our baked goods if we have them!). The talk will take place on April 5th at 6:30pm, in Corwin Pavilion on the UCSB campus (that's the large hall attached to the UCen - here's a map: goo.gl/maps/CtpU). Hey everyone! SURE is having our first meeting of the quarter tomorrow, Wednesday, January 5 at 6:30pm in the Harbor Room! (The Harbor room is downstairs in the UCen, in the hallway between the Hub and the post office. We'll be discussing events for the quarter and restarting our SURE awesomeness. After the meeting, we'll go out to dinner somewhere in IV and hang like good godless heathens. Sell your soul for a cookie! Sign over your everlasting soul to SURE, receive a cookie! We're hosting a tabling event at which students and random passers-by can sign an official-looking statement of transferral of soul in order to get a delicious cookie. When: Thursday, Oct. 14, 10am-4pm Where: In front of the UCen The event is meant to incite thought and discussion on the topic of what a soul is worth. There will also be a vegan and gluten free option available.... We are equal opportunity soul buyers. First Meeting of Fall '10! It's time for SURE's first meeting of the quarter! We'll be talking about what kinds of awesomeness will be going on this quarter, including some of our planned events and speakers, and we'll go into an introduction of the group for SURE newcomers. Other than the administrative stuff, we have plans to do something more fun and social - after getting to know each other, we'll go outside for some outdoor activities on the lawn behind the UCen. The meeting is tomorrow (Wednesday, 9/29) at 6:00pm in the Harbor Room at the UCen, which is in the lower level hallway between the Hub and the post office. Sorry for the late notice; OSL still hasn't gotten back to us about where we'll be meeting after this first meeting (the Harbor Room was our backup). SURE's Annual Back to School Ice Cream Social! It's time again for SURE's Back to School Ice Cream Social Meet and Greet Godless Heathen Bonanza of Awesomeness! If you're on Facebook, join the SURE group and RSVP for the Ice Cream Social on the event page. - Recommended donation of $1 to help offset the price of ice cream (more is always appreciated if you'd like to help out a little more). - A topping of your choice. Santa Barbara Humanists to host "Ingersoll Lecture"
The Humanist Society of Santa Barbara is hosting one of their annual "Ingersoll Lectures" in October and they're looking for people to apply to deliver part of the lecture! 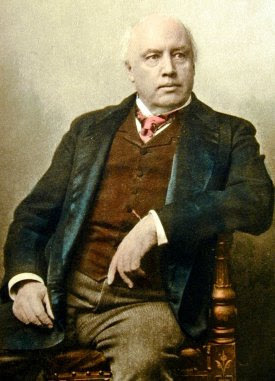 The plan is for one student and one non-student to give half of this year's lecture, selected from Ingersoll's collected public lectures, in the spirit of Robert Ingersoll's intellectual legacy. There are auditions to read the lecture in September, and the Santa Barbara Humanists are giving a $300 prize to the winner of the auditions! If you would like to participate in this year's lecture reading, auditions are on September 25, with applications due September 18 - go to the Santa Barbara Humanists' Ingersoll Lecture information page to learn more about the event, and to find out how to apply.